Join English Heritage on Wednesday 9th December for a festive evening of Christmas shopping and enjoy a 10% discount on purchases. They will be serving delicious mince pies and hot mulled wine in the cafe. New discoveries and insights into Stonehenge landscape made possible by the LBI ArchPro’s intensive research over the last five years will be – for the first time – presented in a comprehensive exhibition in Austria. 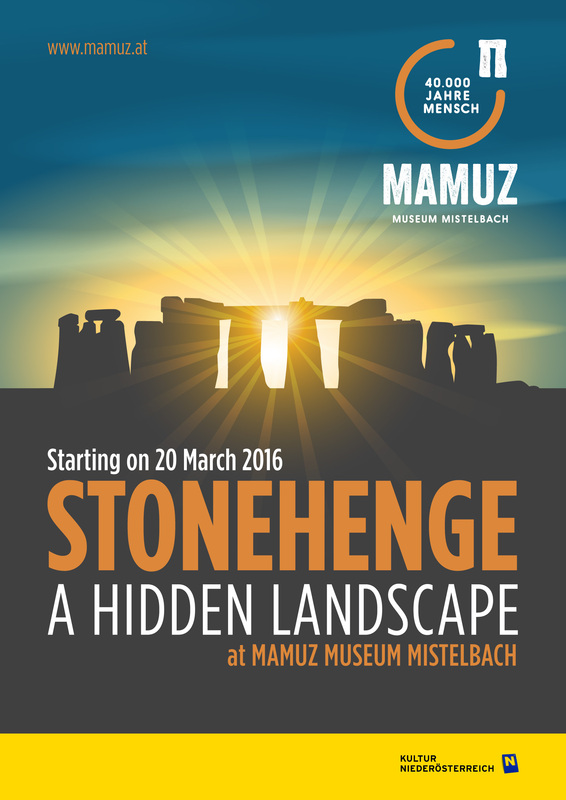 Starting on 20th March 2016, the “Stonehenge – A Hidden Landscape” exhibition at the MAMUZ Museum Mistelbach will take the visitor on a journey of more than 8.000 years through Stonehenge and its surrounding landscape including the newly discovered stone monument at Durrington Walls and original finds from the Salisbury, Wiltshire and Dorchester Museum. 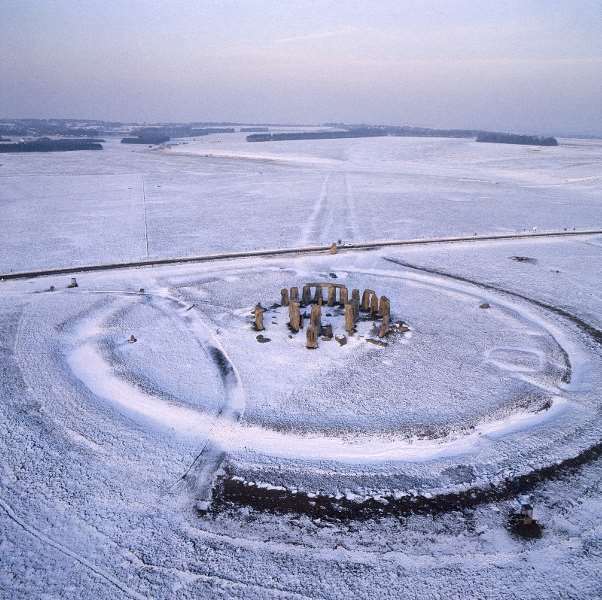 Stonehenge does not stand in isolation, but forms part of a remarkable ancient landscape of early Neolithic, late Neolithic and early Bronze Age monuments. The best way to appreciate Stonehenge is on foot. You can enjoy the impressive Wiltshire countryside while exploring the ancient history that has shaped it. Follow in the footsteps of our ancient ancestors and discover the prehistoric monuments that fill the vast ancient landscape surrounding Stonehenge. Stonehenge has far more than the stone circle. 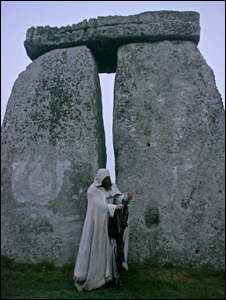 It encompass unrivalled Neolithic landscapes that contain many other fascinating and unique monuments. You could easily spend a whole day in either part of the World Heritage Site. 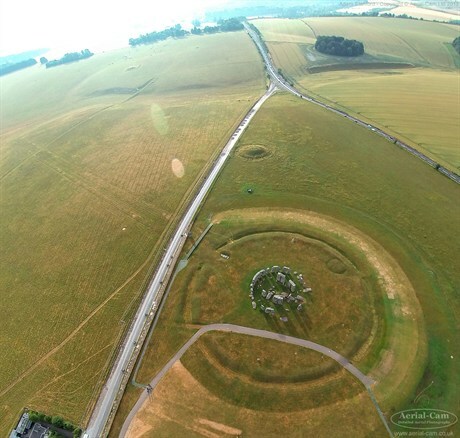 Containing more than 350 burial mounds and major prehistoric monuments such as the Stonehenge Avenue, the Cursus, Woodhenge and Durrington Walls, this landscape is a vast source of information about the ceremonial and funerary practices of Neolithic and Bronze Age people. It can also help our understanding of regional and international contacts from the 4th to 2nd millennia BC, and shed light on how prehistoric society was organised. Immerse yourself in the ancient landscape of Stonehenge, there’s so much to explore and many mysteries to unravel. The CBA will be hosting a debate on the future management options for the landscape around Stonehenge – including the options for the road tunnel – at their Annual General Meeting on 9th November in London. Mike Parker Pearson has been invited to give the 2015 Beatrice de Cardi Lecture at the British Academy on 9th November 2015. The eminent scholar and archaeologist presentation will draw together years of groundbreaking research to share new interpretations of the iconic prehistoric site of Stonehenge and the landscape in which it sits. Mike’s lecture will be preceded by a debate on the future management of the Stonehenge landscape, the CBA’s Annual General Meeting and presentation of the 2015 Marsh archaeology awards. The event is free but registration is essential. Tickets are available now via Eventbrite or may be booked on 01904 671417 (during office hours). Beatrice de Cardi was first Assistant Secretary and latterly Secretary of the Council for British Archaeology (CBA) from 1949 to 1973. In order to recognise her outstanding contribution to the CBA and to the archaeology discipline, the Council decided in 1976 to inaugurate a series of lectures, to be called after her. The speakers are given the freedom to discuss their own approach to any aspect of British archaeology. The CBA headquarters in York was renamed ‘Beatrice de Cardi House’ in honour of her 100th birthday in 2014. The CBA will be hosting a debate on the future management options for the landscape around Stonehenge – including the options for the road tunnel – at our Annual General Meeting on 9 November in London.